Israel on Monday accused Syria of committing “crimes against humanity” over an alleged chemical attack on a rebel-held town, saying President Bashar Assad’s regime was responsible. 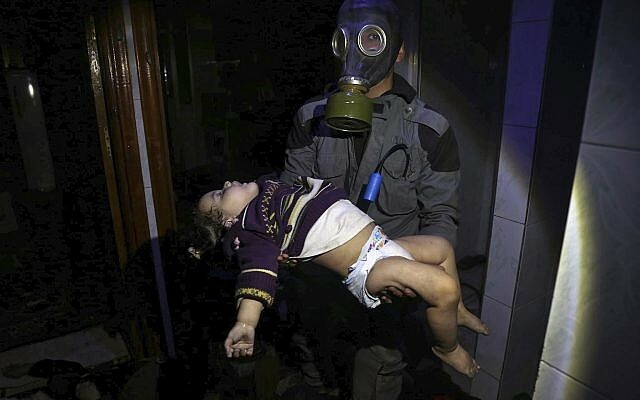 “Israel strongly condemns the chemical weapons strike carried out by Syria on April 7, one year after the mass murder carried out by the regime in Khan Sheikun,” a Foreign Ministry statement said, referring to a widely condemned chemical attack on rebel-held town late year. 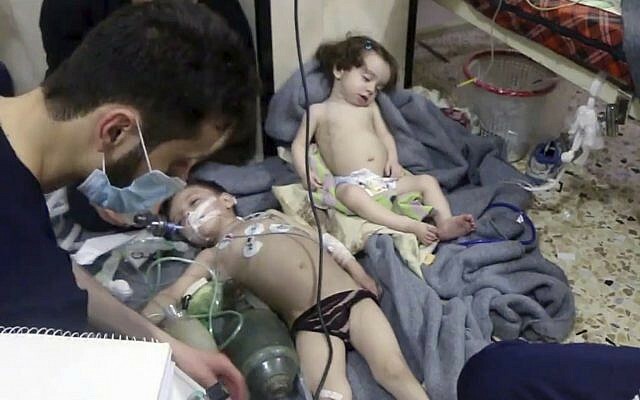 Saturday’s suspected poison gas attack took place in the rebel-held town of Douma amid a resumed offensive by Syrian government forces, after the collapse of a truce. At least 40 people were reportedly killed, including children, and hundreds of others were said to be injured. Opposition-linked first responders, known as the White Helmets, said entire families were found suffocated in their homes and shelters. The group said victims showed signs of gas poisoning including pupil dilation and foaming at the mouth. In a statement, however, it reported a smell resembling chlorine, which would not explain the described symptoms, usually associated with sarin gas. US President Donald Trump on Monday called the attack “heinous” and vowed a decision on what response to take will be made by the end of the day. France, which has repeatedly said evidence of chemical use in Syria could prompt military action, responded to the attack by calling for an urgent UN Security Council meeting on Monday. The request was also signed by eight other UN Security Council members including the US and Britain, while Russia asked for a separate Security Council meeting to discuss global threats to peace. The Foreign Ministry statement came hours after Russia and the Syrian military blamed Israel for a pre-dawn missile attack on a major air base in central Syria, saying Israeli fighter jets launched missiles from Lebanon’s air space. The Syrian Observatory for Human Rights, which monitors the country’s conflict, said 14 fighters were killed, including Syrian army officers and Iranian forces. 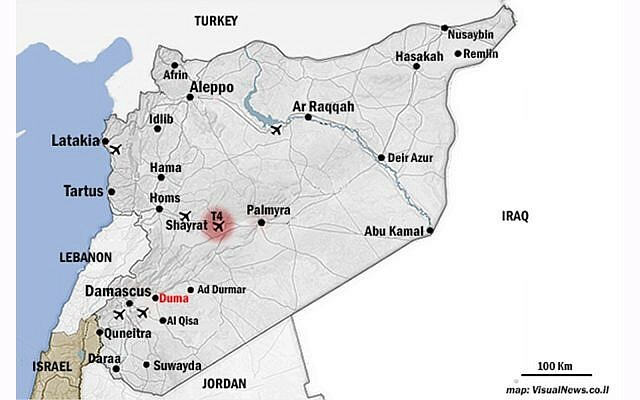 Jerusalem regularly expresses concern about the Iranian presence in Syria, fearing the long-term establishment of hostile forces in the neighboring country. Since 2013, Israel is believed to have carried out numerous raids inside Syria, targeting the regime and the Lebanon-based terrorist group Hezbollah, which is backed by Iran. On Monday, Prime Minister Benjamin Netanyahu warned that Israel would hit anyone who seeks to harm the country, appearing to indirectly refer to the predawn missile strike. “We have one clear and simple rule and we seek to express it constantly: if someone tries to attack you — rise up and attack him. We will not allow, here on the Gaza border, them to hurt us. We will hurt them,” Netanyahu said in the southern town of Sderot.